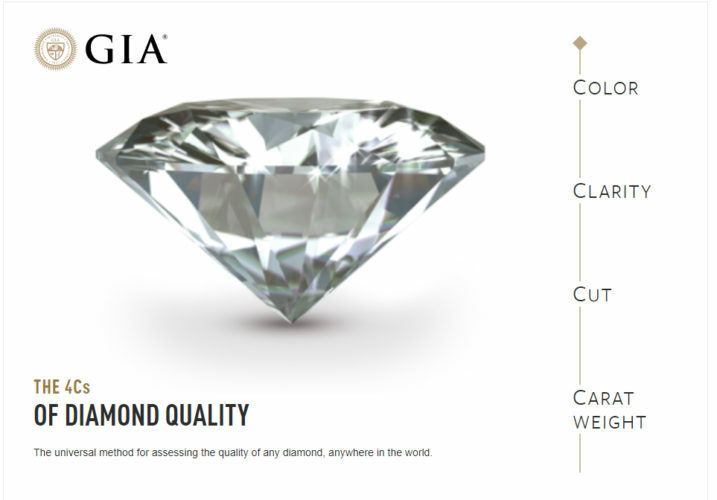 The 4Cs, invented by the Gemmological Institute of America (GIA), is the universal method by which the quality of diamonds are graded all over the world. When buying a diamond it is important to understand the 4Cs so you know what you are buying and can compare diamond prices accurately. Browse the interactive tool below to learn about a diamonds Colour, Cut, Clarity and Carat weight.